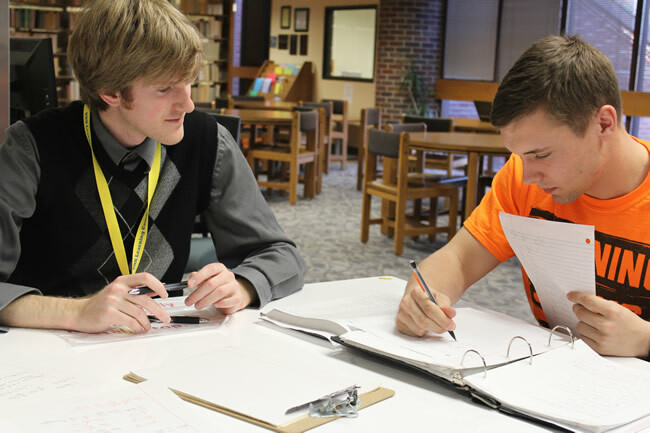 UNK Subject Tutoring offers student-to-student assistance for most General Studies (100 and 200 level) courses during the Fall, Spring, and Summer semesters. Subjects tutored include: Accounting, Biology, Biostatistics, Business Statistics, Chemistry, Computer Science, Economics, Finance, Genetics, Math, Physics, Psychology, and Spanish. Like most other college tutoring programs, our greatest demand falls in mathematics and the natural sciences. All tutors prepare for their work using College Reading and Learning Association certified training. Tutor selection requires faculty recommendations and a formal interview.